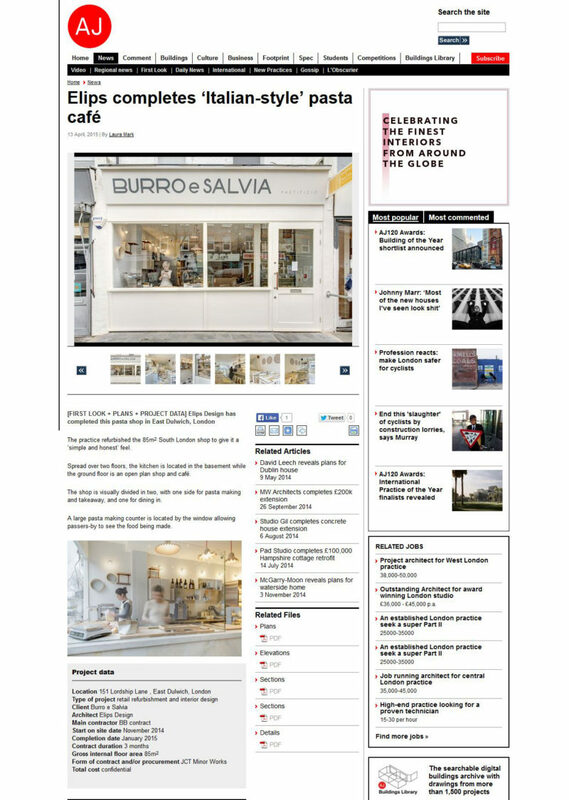 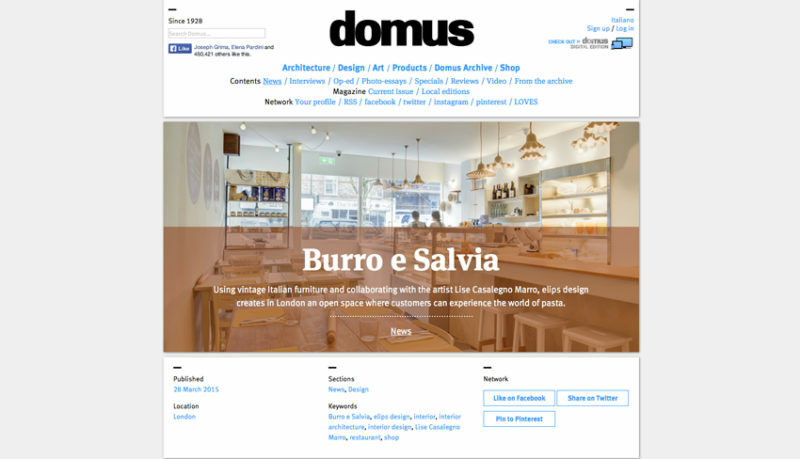 We are thrilled to be announce that our project Burro e Salvia has been selected as one of the Best on Archilovers 2015, as it upholds their high standards for aesthetics, functionality and creativity. 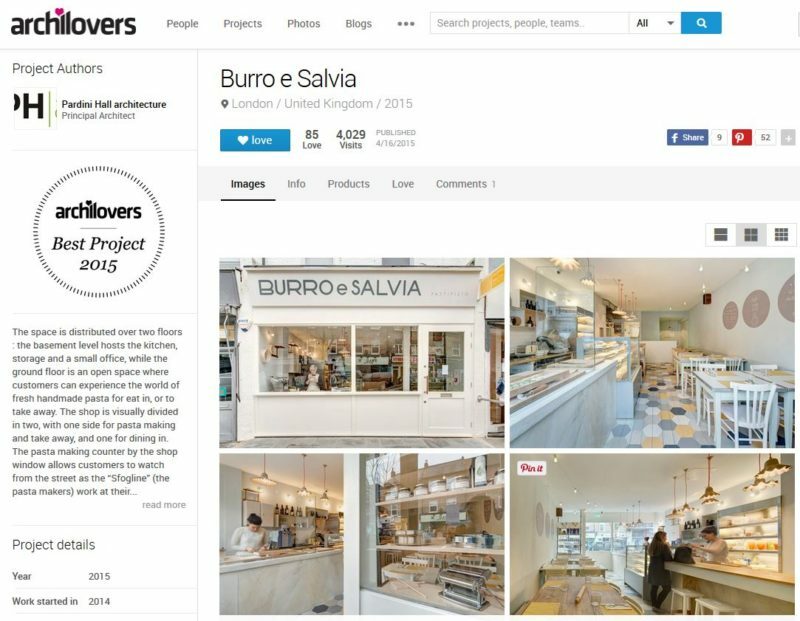 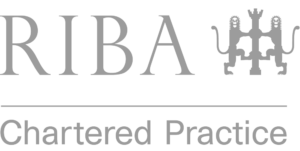 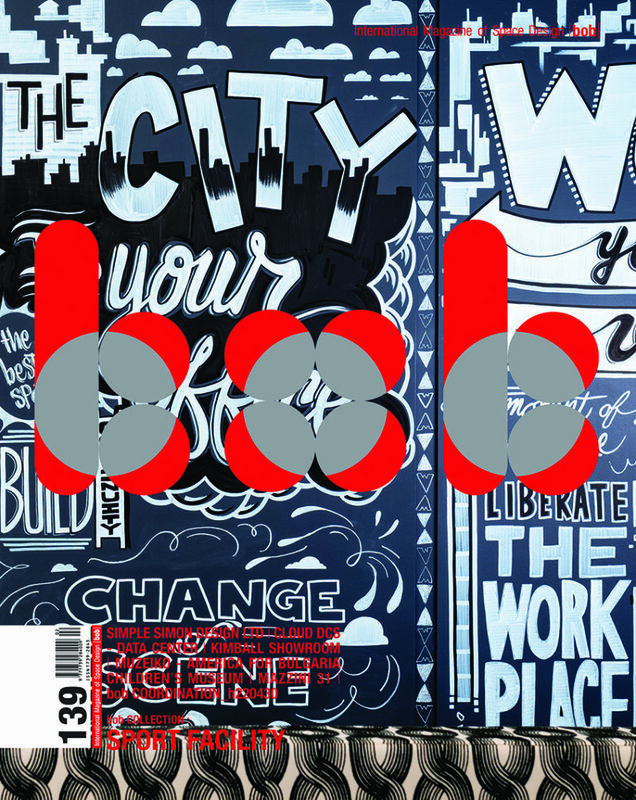 It is one of the most ‘loved’ out of the 50,000 projects published last year. 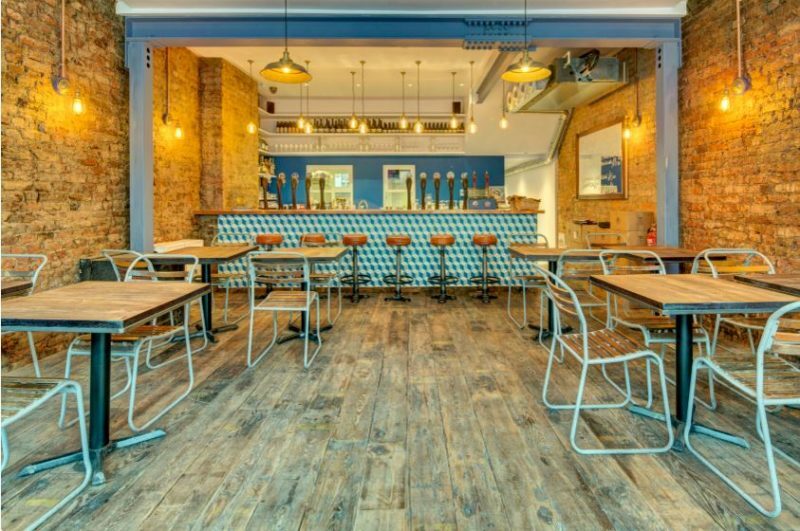 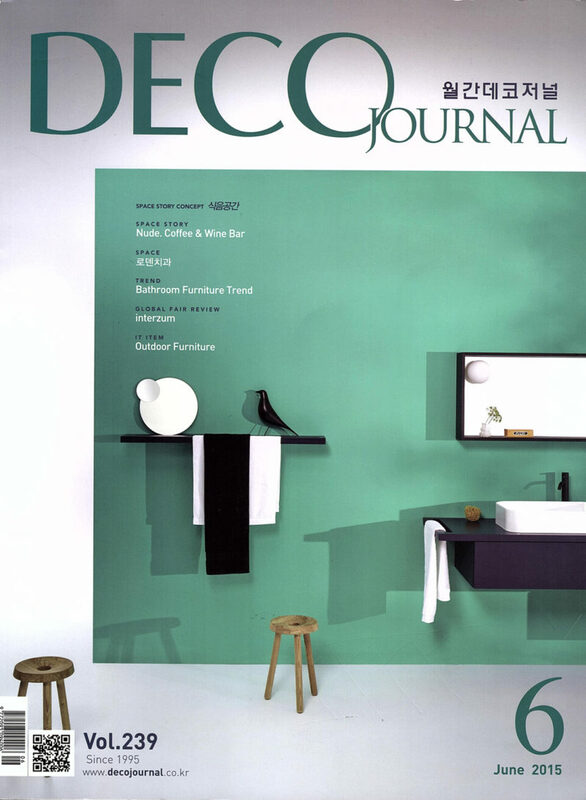 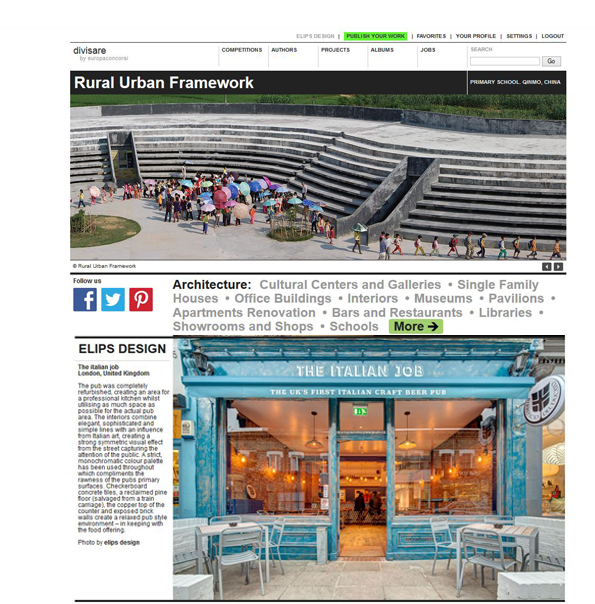 A marker has already been added..
‘The Italian Job’ has been published on the Editors Pics page of the Restaurant & Bar Design Awards Magazine Take a look. 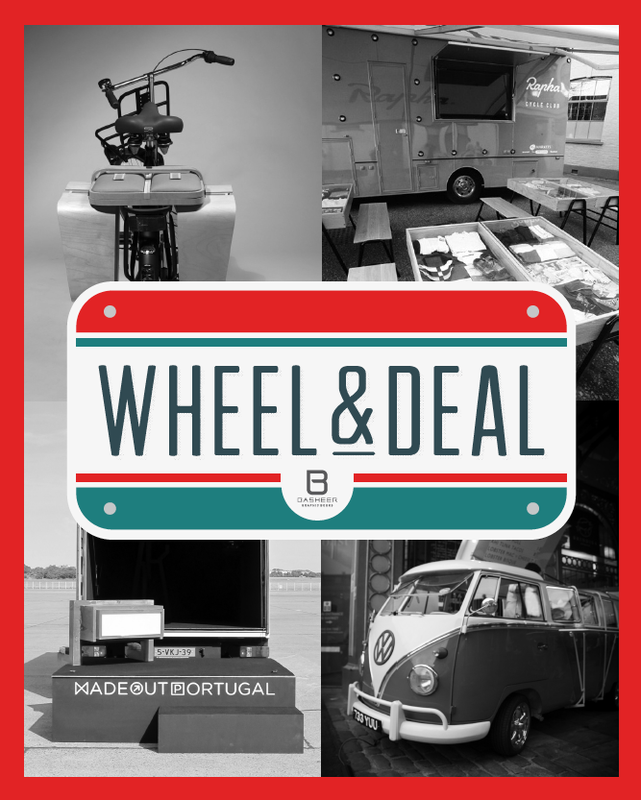 Dri Dri has been featured in the beautiful book “Wheel & Deal” from Basheer Graphic Books. 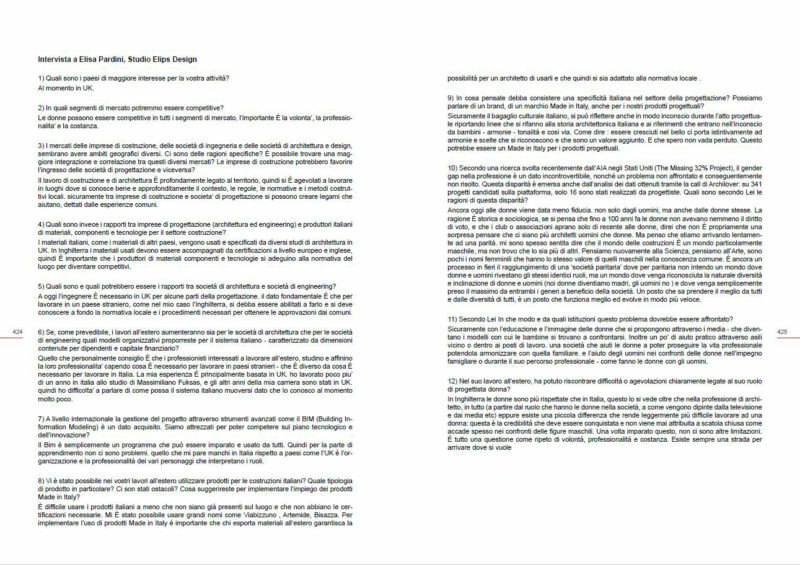 Elisa Pardini has been interview for the publication : Architectura Energia per il Made in Italy to speak about the rule of italian architects in the world and the rules of women in architecture. 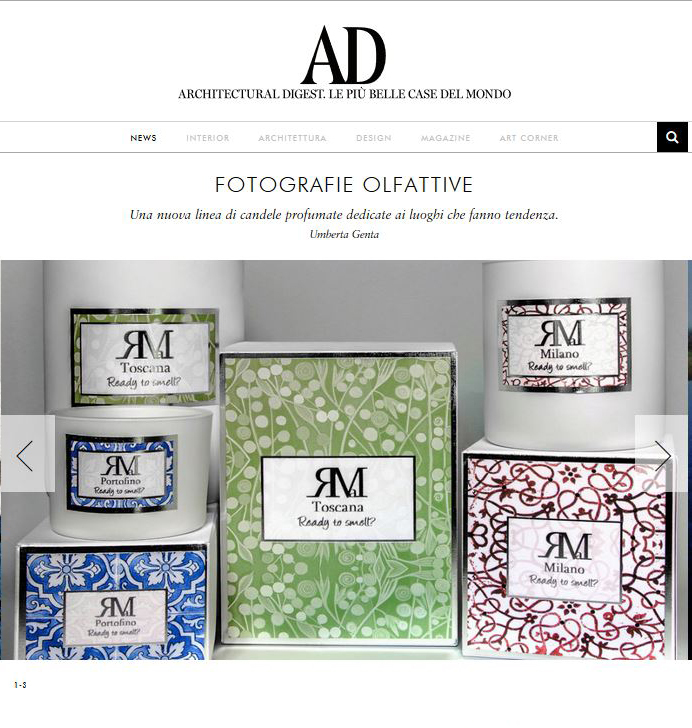 The Italian Job made the homepage of Divisare !